As 2013 heads towards its inevitable end, Anti- would like to remind you of some extraordinary releases they have had the honor to work with in the previous months. 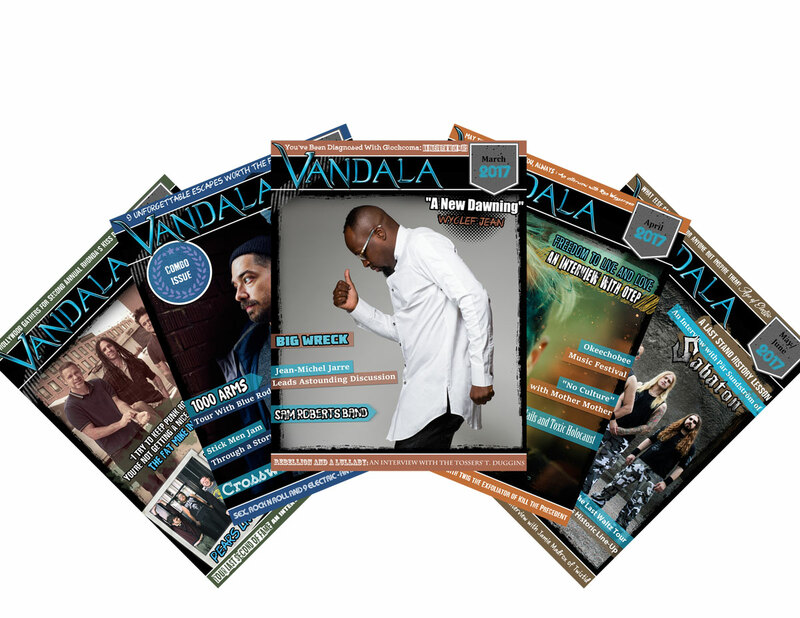 Vandala Magazine has listened to them all and reviewed or covered these artits and these albums listed below deserve both another listen. Calexico – Algiers – The feel of Algiers is recognizably classic Calexico but their style has been revitalized and reborn by the experience of recording the record in New Orleans. Conscious of the clichés that can sometimes afflict acts working in a city with such a strong identity, band members Joey Burns, John Convertino and producer, Craig Schumacher, chose to avoid the bigger, better known studios in favor of a smaller, more intimate setting. The result is arguably the most exciting and accessible record Calexico have made. Dr. Dog – B-Room – Dr. Dog’s B-Room, marks the band’s greatest point of clarity in more than a decade of performing and recording. Their arrangements, while still ambitious, are much simpler, moving past the multi-tracked pastiche of earlier efforts into a unique and vibrant band voice. Recording many of the album’s tracks as live takes, Dr. Dog discovered the soul roots always inherent in their Philadelphia background. Keaton Henson – Birthdays – There is a chilling and somber beauty to what Keaton Henson is able to harken from depths of the edge of his tormented soul. Though created almost entirely on guitar, Birthdays generates an affective sound that is unexpectedly complex and powerfully evocative. The lyrics are so deeply personal it can feel voyeuristic, recalling the confessions of a close friend or lover. If one were to reach for a point of reference, it would be figures such as Nick Drake and Tim Buckley or even Dylan Thomas and Oscar Wilde. Kronos Quartes with Bryce Dessner – Aheym – The album Aheym features ground breaking classical ensemble The Kronos Quartet performing a series of emotionally riveting compositions written by Bryce Dessner, guitarist and songwriter for band The National. The title Aheym is Yiddish for “homeward,” and the songs find inspiration in the wandering restlessness of Dessner’s Jewish and Eastern European immigrant roots. NPR calls Aheym “a dense and kinetic work, stitched with nearly obsessively articulated cells of energy that are occasionally interrupted by lyrical and luminous melodic lines.” The record concludes with Tour Eiffel, a haunting interpretation of a work by Chilian poet Vicente Huidobro sung by the Brooklyn Youth Chorus. Mavis Staples – One True Vine – Coming off the huge success of her first collaboration with Wilco frontman Jeff Tweedy – the Grammy winning You Are Not Alone – Mavis Staples wanted to make their second album together both a continuation of the joyous spirit of the first, and an evolution. With new song offerings from Alan Sparhawk of Low, Nick Lowe, and three new Tweedy originals, One True Vine is at once a darker and more uplifting album, anchored by reinventions of two 70s classics – Funkadelic’s “Can You Get to That?” and the Staples Singer’s “I Like the Things About Me.” A glorious second act for this American icon. The Melodic – Effra Parade – The Melodic’s members came of age in the South London neighborhood of Brixton amidst bustling streets and open air markets reverberating with a rich assortment of musics from around the world. In the distinctly English tradition of sonic assimilation, they found influence in the sounds they were hearing. On their new album Effra Parade, the band has created a vibrant new music which references contemporary artists such as Belle & Sebastian, The Magnetic Fields and the Decemberists, exhibits a clear reverence for past masters Paul Simon and Bert Jansch and mixes in elements from Latin America, the Caribbean and Africa to create a sound entirely their own. The Milk Carton Kids – The Ash & Clay (INTERVIEW HERE) – Los Angeles based flat-picking harmony duo The Milk Carton Kids has emerged as a powerful voice defining the continuing folk tradition. The duo continues to attract fans and win acclaim with the simple purity of their music and deadpan stage humor. The last year has seen the duo performan on Austin City Limits, appear three times on A Prairie Home Companion and featured in two PBS documentaries. On their enw album The Ash & Clay, an understated virtuosity defines their close harmonies and skillful guitar work to the delight of traditionalists and genre newcomers alike. Petra Haden – Petra Goes To The Movies – Petra Haden’s wondrous new album Petra Goes To The Movies offers a one of a kind opportunity to experience some cinematic soundtracks in an extraordinary new way. Epic and evocative scores have been ingeniously recreated utilizing layers of her remarkably inventive voice. Far from a mere novelty, these interpretations retain every bit of emotional resonance and inspirational might as the originals.